Can they paraphrase, come up with an example? Your students should keep this quote in the back of their minds as they watch the clip. After the dictation, students can ask about the words in the acquaintances and strangers columns. Then ask students to listen for these words in the clip. Note: I first came across this categorisation of lexical items in a book by Mario Rinvolucri. Challenge your students as a group to come up with 20 questions about the story they’ve just listened to in 2 minutes. Write the questions on the board as students call them out. Help with language if necessary. Where does the man live? Why didn’t he use a flashlight? Did he find his keys in the end? How do you interpret the story? What do the keys represent? What does the streetlight represent? How is the streetlight story related to the hostile-friendly universe question mentioned in the clip? What’s your view: do we live in a friendly or a hostile universe? Ask your students to read a story about The Old Man and the Two Travelers. Then ask them to write a paragraph comparing the story they’ve just read with the story they listened to. Wayne Dyer is a popular self-help philosopher (“Change your thoughts – change your life”) in the U.S. You can find many talks on youtube. 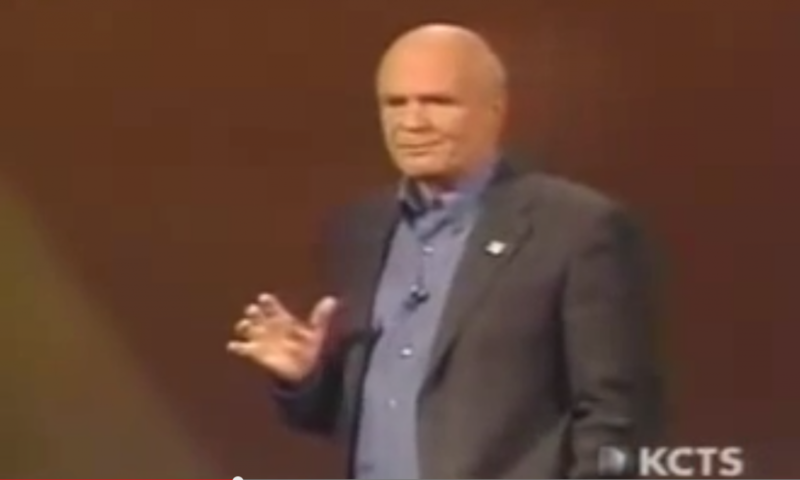 If you search ‘Special Keynote with Dr. Wayne Dyer’ on youtube, you’ll find an extended recent talk with many gems of wisdom, whether you can agree or not. If you look in A Guide to Student-centred Learning (1996), by Donna Brandes and Paul Ginnis, pp. 214-215 you’ll find a similar story to The Old man and the Travelers. It is accessible on Google Books. What are the similarities and differences?